Jojo's Room - Yet another reason I wish I spoke French. Fortunately, the pictures are pretty damn droolapaloozy (that's French for inspirational). Thanks for leaving your beautiful blog and popping into the Fibro today. I love this room. Colour, bunting, secret places to hide - what more could a kid want? What a cool blog! Thanks for sharing this! Brilliant. I'm such a sucker for this kid stuff. "Thousands of coloured treasures on the shelves of this unit".. or something very close to that. Loving it too and would be the perfect solution for my kids' room. Fantastique! Je l'adore! And I don't just love it because Jojo is my nickname. This a definitely a sweet blog. Thanks for sharing! 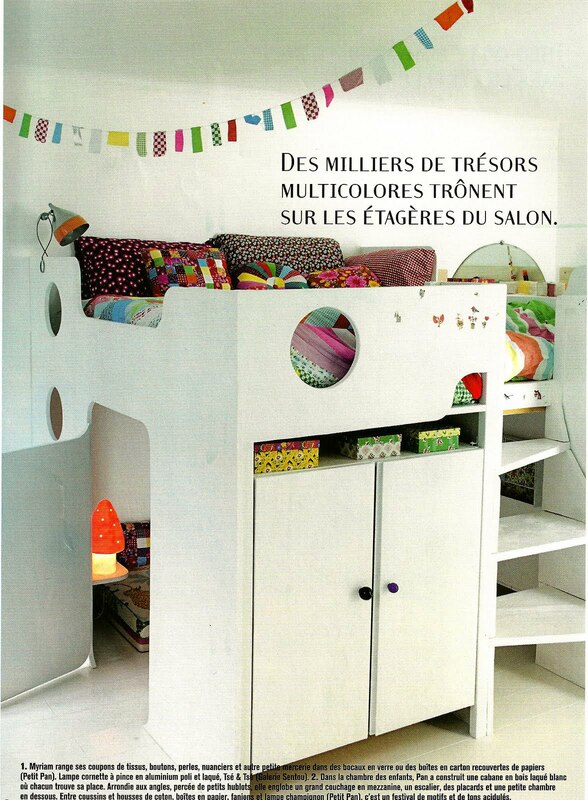 I love Jojo's Room blog - it's hard to resist such French loveliness!